Weirdo vinyl weekend continues with this (another!) 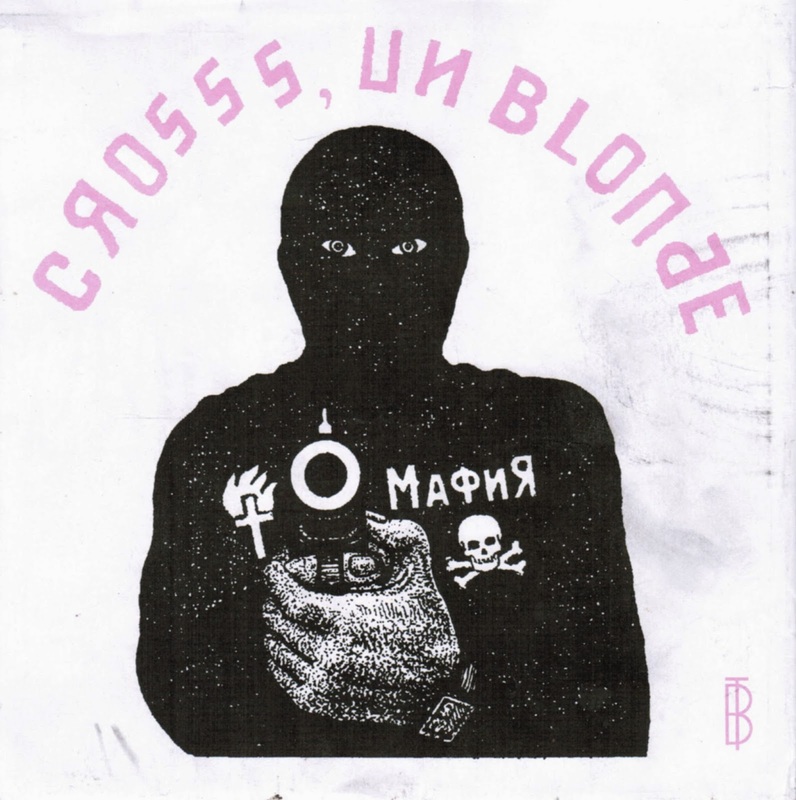 split record featuring wunderkind Jean Sebastien Audet's Un Blonde and Crosss, who are from somewhere east of Alberta. We had to find a tape measure, but we can confirm that this lathe is 8" and square. And appears to be pressed on clear plexiglass. Anyways, it looks really weird going round and round (except that it's square, right?) on our turntable. The two Un Blonde tracks on here are also ones that are on the Un Blonde tape from last year, but that doesn't make this any less fun. Wait, can you call Un Blonde fun? Anyways, it looks like you might be able to order this from the Bruised Tongue bandcamp.